RapidClean Geelong specialise in supplying cleaning and specialised industrial products to all areas of industry, including; manufacturing, food processing, warehouses and factories, transport companies, and any business with industrial product requirements. We are locally owned and operated and have been established since 1989. We endeavour to provide quality products at competitive prices. RapidClean has Geelong's best and most extensive range of industrial cleaning equipment. We can provide the right cleaning machine for the task required to free up your staffs time to perform more productive tasks that provide your company its income. We provide a one stop shop for all your cleaning needs. We are currently developing on an online catalogue and shop. This will enable you to browse our extensive range of products at your leisure. Alternatively you will be able to place orders with us and check account information and history in your own password protected, personalised shop. We have a huge showroom with many products on display. The latest cleaning technologies and tools are available for you to look at, and in some cases try. We are continually improving product displays and looking at the latest products that come into the cleaning market. We have over our time in business invested heavily in ensuring we have a stock of the products you want. We have over $300,000 worth of stock in our huge warehouse and showroom and we are always striving to keep popular products in stock. But if we haven’t got what you want, we will get it in. 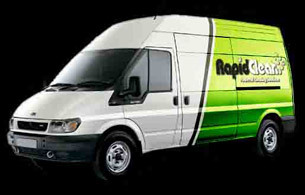 RapidClean Geelong provide same day delivery to Geelong and surrounding suburbs for stock orders placed before 10am. We also provide next day delivery to Geelong and surrounding areas for stock orders placed after 10am. If you would like to see one of our sales representatives to help you please feel free to contact us.